Indian Cricket Team successfully registered a strong victory in the first cricket match played in Cricket World Cup 2011 against Bangladesh in Mirpur. However, the Cricket fans of Yuvraj Singh were denied the pleasure of watching him bat as after dismissal of Virender Sehwag in 48 Over, it was Yusuf Pathan who came for batting. And this is quite surprising because Yuvraj Singh, who is quite versatile and strong Cricket player, was very much supposed to come on his turn for batting for Indian Cricket Team. May be Yuvraj Singh was not in good and energetic mood to contribute or may be the Captain did not find him suitable to bat at that time. In both the situations, the vedic astrology readings of Yuvraj Singh horoscope hold correct. Expected performance of Yuvraj Singh for 19 February 2011 were mentioned over here and vedic astrology readings clearly indicated in this regard. The very first bowl of Yuvraj Singh went for four runs and it happened when Bangladesh Cricket Team could not score a boundary in the past 11 Overs. Even against Bangladesh Cricket Team Yuvraj Singh gave 42 runs in seven Overs. 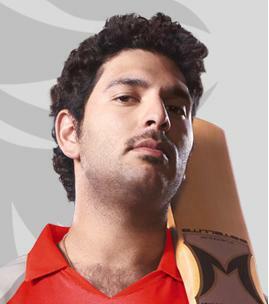 Yuvi’s attitude on the field was very much matching with vedic astrology readings of his horoscope for the day. Vedic astrology readings of Yuvraj Singh horoscope in the oncoming world cup 2011 cricket match against England Cricket Team are also given over here. Though vedic astrology horoscope of Yuvraj Singh does indicate somewhat better performance in Indian Cricket Team Vs England Cricket Team; yet he should be careful to avoid any physical injury or health issue on the day. I hope vedic astrology readings of Yuvraj Singh horoscope for second cricket match of Indian Cricket Team in Cricket World Cup 2011 hold correct. Contact at rajshekharsharma2010@yahoo.com for your personal horoscope readings or visit Birth Chart Astrology.